Search Engine Optimization (SEO) is a complex concept that allows online marketers to employ numerous different strategies, avenues, and best practices to establish and elevate their online brands and successfully reach their niche markets. 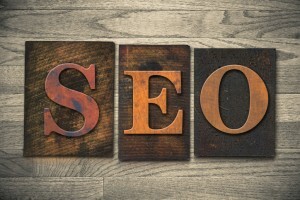 However, it goes without saying that not every SEO strategy will yield the same positive results for every company. Caution and patience are great virtues when it comes to building your online brand and establishing a strong and loyal customer base. Personal branding is one of those SEO strategies, though, that seems to defy and circumvent all boundaries because it works on so many different levels. As a society, we seem to have entered into a new realm of marketing opportunities in which consumers are vastly moving away from supporting faceless corporations and are generally more aroused by the notion of knowing where their money is going and how it’s being implemented in the grand scheme of things. What Is Personal Branding in SEO? In case you’re wondering how exactly personal branding coincides with SEO practices, the answer is quite simple. Personal branding offers consumers something they never had in the past: a greater insight into the types of corporations that they willingly choose to support. It helps make consumers much more socially and economically conscious and responsible for where their money is going and how it’s being used. Personal branding entails marketing the capabilities and virtues of specific individuals rather than an entire faceless corporation, which is what makes it so appealing to the general public. This begs the following question, though. If personal branding is so effective, then why are most major corporations so slow to catch on to this remarkably simple SEO trend? The fact that the grand majority of major corporations in the world lack personal branding expertise in their SEO marketing arsenal is actually quite baffling, to say the least. It means they’re missing out on the golden opportunity to provide valuable content to their target audiences that could potentially help to increase their overall revenue. People like it when companies add a more personal touch to their advertising because it makes them seem more approachable and human. Separating the cold, corporate façade from the individual personality makes it easier for people to relate to your brand and it opens the floodgates for expanding into vastly different submarkets as well. Here are just a few ways you can reap the rewards of implementing a carefully constructed personal branding SEO strategy into your digital marketing repertoire. Keep in mind, though, that overnight results are highly unlikely and that it does take a great deal of hard work, trial and error, as well as adjusting and updating your online marketing strategies to keep up with ever-changing trends. Authorship potential means that instead of giving a whole corporation credit for producing online content, specific authors are named and therefore given the platform they need to create strong online presences. This, in turn, sparks greater awareness from consumers across multiple global and cultural markets because they feel like they’re interacting with someone who represents their interests rather than a large corporation. Successful author buildup leads to effective audience segmentation, which is necessary if you’re trying to appeal to diverse markets and establish a universally relatable brand. Take McDonald’s as a real-world example. They’ve managed to break into countless global markets, some with greater success than others, simply by appealing to the appetites of the locals they’re serving in each country. This idea can easily be applied to personal branding in SEO to increase user engagement and trust. Most consumers are swiftly turning their backs on large corporations because they view them as being very self-serving and untrustworthy. After all, it’s hard to put your trust in an intangible person or concept. A strong personal branding SEO strategy can help companies to restructure and even strengthen the trust between themselves and their target audiences. Consumers can finally associate a genuine face with otherwise elusive and mysterious corporations and this unquestionably helps to establish a strong foundation for user trust. Syndicating your content means expanding your horizons beyond the limits of your company’s web site. Nowadays, it’s a common practice for corporations to have large online presences as this is undoubtedly a highly effective way of reaching a larger spectrum of people. Use Facebook, Twitter, Instagram, and other prominent social media platforms to reach your target audiences. The more widespread your online presence is, the more you’ll be able to indulge in user engagement. You can personalize your advertisements according to what certain people are searching for, which will make it easier for you to connect with meaningful potential consumers who are actively searching for the types of products and services you offer. This ties in very closely with syndicating your content. As mentioned, playing your cards right and establishing a strong social media presence will ensure that you’ll connect with the right consumers for your brand. Personal branding allows for easier user entry, which essentially means that your employees can freely produce content that’s within their scope of expertise. This doesn’t require any special training, a background in marketing, or investing time and money into extensive research because your employees are simply writing about what they already know and using that information to appeal to larger audiences. All it takes is consistently writing and posting content so they remain relevant and users stay engaged. While your main goal should always be to continue building and strengthening your online presence as a company, there’s also something to be said about empowering your employees to come up with their own fresh new ideas and allowing them to have more creative control over the content they produce. This type of work structure has infinitesimal benefits for your employees because it motivates them to work harder and use your company as an avenue for building their own personal online presence and develop their own voice outside of your company. People are more likely to invest their hard earned money into a brand that’s personally endorsed by someone they trust. That’s why celebrity endorsements and brand affiliations are so valuable to corporations. When people see a name or face they recognize or admire purchasing or advertising for certain products and services, it makes them feel closer to that particular company without even realizing it and this will subconsciously encourage them to purchase that product or service. The SEO experts at Numero Uno Web Solutions have helped numerous companies throughout the United States and Canada create, launch, maintain, and update their online content to ensure consistent relevancy. We have experience working in diverse markets to help our clients reach their target audiences and increase their return on investment by using effective online marketing techniques. For more information on how we can help you improve your Google rankings and reach a wider audience, please contact us at 1-855-SEO-XPRT.